This piece was originally published in the December 2018 - March 2019 issue of our journal, Vol. 4, Issue 3: Neighbors. I can’t quite remember my life before The Great British Baking Show, but for that I’m grateful. If you’re unfamiliar with this British TV show that’s invading America and likely your Netflix watchlist, you really are missing out. Polite bakers, quirky hosts, scrumptious desserts—I mean, come on. It’s a true cup of tea, and as a former baker myself, I often daydream of creating my own treats under the white tent in that storybook-like field. All throughout high school, I was known as “the cake girl.” No, my love for baking didn’t come from a sweet tooth or love for chemistry; I simply was an artistic, detail-oriented person who decided that class projects would be a lot more fun if they were three-dimensional, beautiful, and, well, edible. When J.C. Cakes started popping up on my Instagram feed a few months ago, I thought I might have found a kindred spirit. Turns out I was right. A native of Beech Bluff, Tennessee, Jessica Childress’ baking career didn’t begin until a few years ago, but by the sheer perfection of her “half-naked” iced wedding cakes, crisp corners of her fondant-covered birthday creations, and the ideal cookie-to-creme ratio of her macarons, you’d think she’s been doing this since birth. Now twenty-seven, Childress packed her bags for the University of Tennessee in 2009, where she began studying nutrition, something she finds incredibly ironic as she whips up another batch of buttercream. 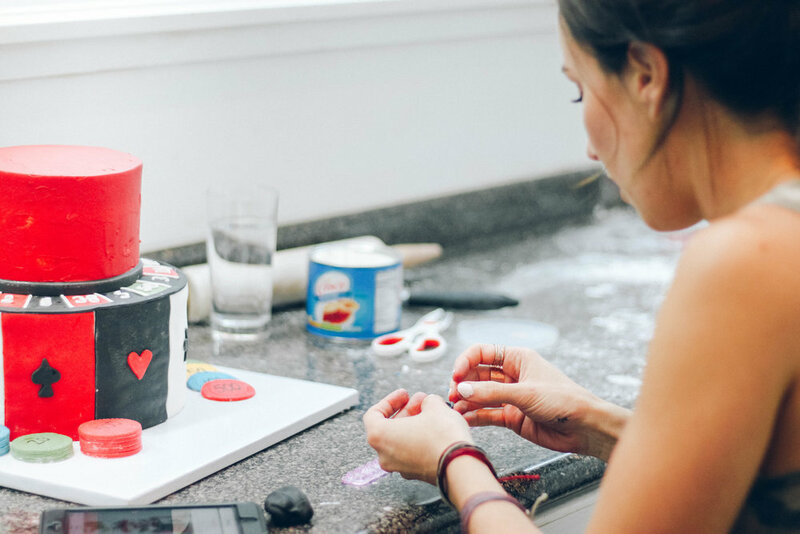 Like many artists who get their starts in unexpected places, her affinity for decorating cakes started out of a last-minute decision to make something fun for her twenty-first birthday. Once she discovered how much she enjoyed the process and had a natural talent for it, friends and family began requesting treats for their own occasions. Meanwhile, she was growing her skills and knowledge through interning at a Knoxville bakery, and pretty soon she was spending every free moment outside of school and work slaving over her oven and KitchenAid. Childress met her husband, Blake, at UT, and he’s been supportive of her baking endeavors since they married in Knoxville back in 2016. 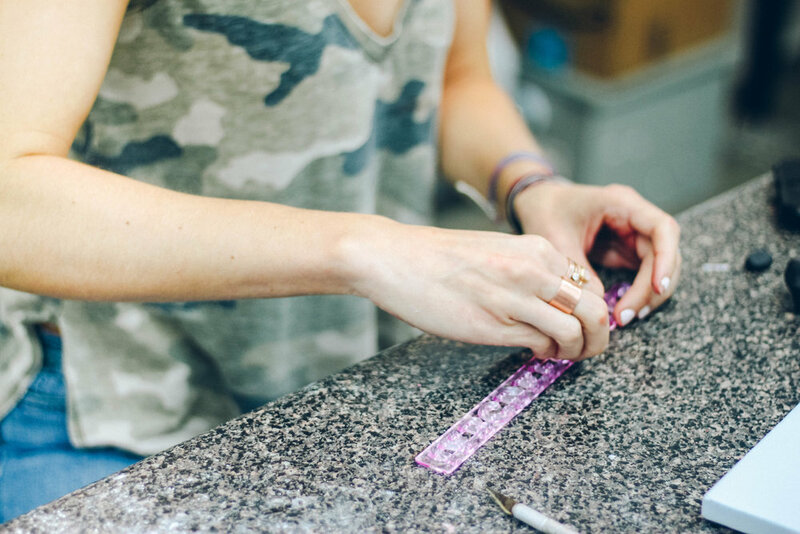 He was just as eager as Jessica to find a way to make this hobby her full-time gig, and when he was offered a job at the Jackson Clinic last November, it seemed to be the perfect opportunity to settle back in West Tennessee and pursue her dream. The Childresses found a home in Medina, just thirty minutes away from Jessica’s hometown, and a string of happy circumstances led to using the back half of the Lyla & Lane Infant and Children’s Boutique in Humboldt as her bakery. It’s nothing glamorous, but you don’t run by a small, affordable industrial kitchen every day. For the grunt work baking requires and hyper-focus decorating demands, this spot has been ideal for Childress’ entry into entrepreneurship. Like most bakers, she dreams of one day having a shop bustling with customers lined up for afternoon treats, but for now, Childress enjoys focusing on large-scale commissions, so cases lined with cupcakes will have to wait. 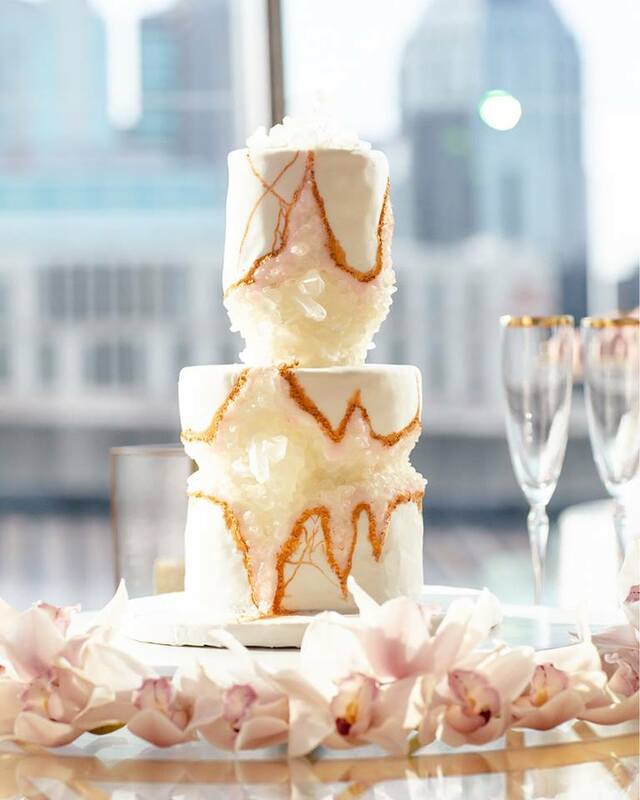 Due to the nature of wedding cakes and other event desserts, Childress’ weeks usually look like baking first, decorating second (based on the order of events), and then spending her Saturdays driving all over the state meeting with potential clients and delivering her carefully crafted creations. Though J.C. Cakes has been based in Humboldt for a year now, Childress still has a constant influx of requests for cakes out of Knoxville and Nashville. For now, she’s happy to accommodate, but she hopes someday to have enough clientele in the area to focus more specifically on West Tennessee, especially once she and her husband welcome their first child in March. When talking with Childress, I couldn’t help but ask what her thoughts on folks like me are—baking-TV-obsessed, sure-I’ll-make-your-nephew-a-cake, amateur bakers. But instead of shaking her head in disapproval, she nodded in understanding. Childress credits shows like The Great British Baking Show and Cake Boss to her initial interest in baking, and while now she thinks more like a businesswoman, she spent years saying yes to projects for far less than what she should have charged—not to mention without having a bakery license. 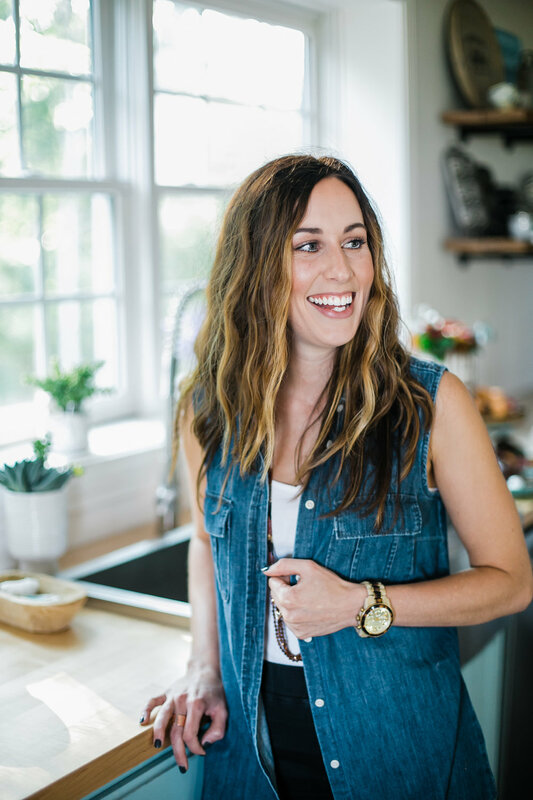 Now six years into her career, she’s finding her rhythm, choosing her favorite projects, and is confident in her pricing and schedule. Throughout our conversation, I found myself in awe of so many ironic contrasts—Childress’ Southern accent seeming casual and friendly against the sophisticated look and flavors of her cakes; the kitchen’s loud A/C unit interrupting her quiet, intricate decorating; her messy ponytail and toned forearms the evidence of what her neat, delicate creations require. J.C. Cakes is proof that baking might not always look like a pristine white tent in an open field, but the finished product is well worth the late nights, flour-covered counters, and years of dreaming of piping bags, gum paste, and dragees. J.C. Cakes is located at 1317 East Main Street in Humboldt and is open Tuesday through Friday from 10:00 A.M. to 5:00 P.M. To learn more, visit Jessica’s website. Photography by Amber Lowe and Katie Howerton.